So for 4 months I had no real plants (except some java moss) and almost no algae. Because of wanting to have nice real plants I got a proper light and now I still have not much plants (maybe cuz I have more a blue thumb) but lots of algae. One kind is the green stuff that grows on the glass which isnt so bad right? And I noticed a light fluff cover on my driftwood but it did not concern me either I just thought: well there is now food for otos in your tank. Unfortunately my LFS was sold out and it took almost 4 weeks before they got otos in again and I finally could bring two home. The fluff cover on my driftwood has been advanced into a thick carpet by now and it also spread to any other decoration and plants. About a week ago I took a closer look and tried to figure out what kind of algae that might be, and I figured must be BBA ... na great! Meanwhile my little otos went straight to work on the green stuff, its been almost 2 weeks now since I got them and they seem to do fine and got some nice appetite. Just a few days ago I saw one on the driftwood, clinging into the believed Black-Beard-Carpet. Well long story short a now a few days later part of the driftwood is cleared, the oto must have eaten it. Now what? 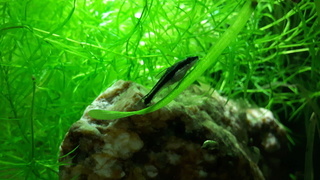 Is my black beard algae not what it seems to be or do I have the first of its kind BBA-eating-Otocinclus? Definitely otos you have there. I've only heard of them touching BBA after it dying, or if they were extremely hungry (and maybe not even then). I've honestly never seen mine touch the stuff. Thoughts about BBA, I've found that limiting my lighting time is quite effective at slowing its growth. 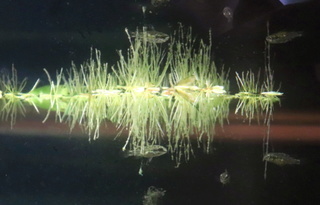 I've also tried siesta periods (having lights on for 2 hours, then off for 1, etc), as the plants can handle that without issue, but many algae don't like that so much. At least that's what a couple of my books have said, I'm not certain how much it has helped or not. You can also try dosing seachem's excel directly on the bad BBA areas. I've found that it was quite useful for small spot treatments, but not if it gets out of control (then the source of the algae really needs to be looked at). I like algae. To me, that isn't classic black beard, wave in the current algae. That type literally looks like hair. The stuff in the photo has the colour, but I would guess at it being something else. Interesting! To me, it looks like a mix of different algae. I recognise the reddish, tuffy part but I have never seen that it is covered in 'web cob style' threads like that. I am not a planted tank keeper, although all my tanks are very planted. I like algae. It's interesting. 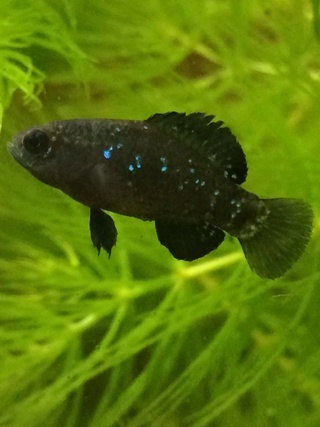 If you stay steady, do water changes, don't overstock/overfeed and watch your lighting, it's a bit like snow. Eventually, it goes away, then eventually, it comes back. I loathe cyanobacter, but algae is okay. I've had black brush here - it came and went. 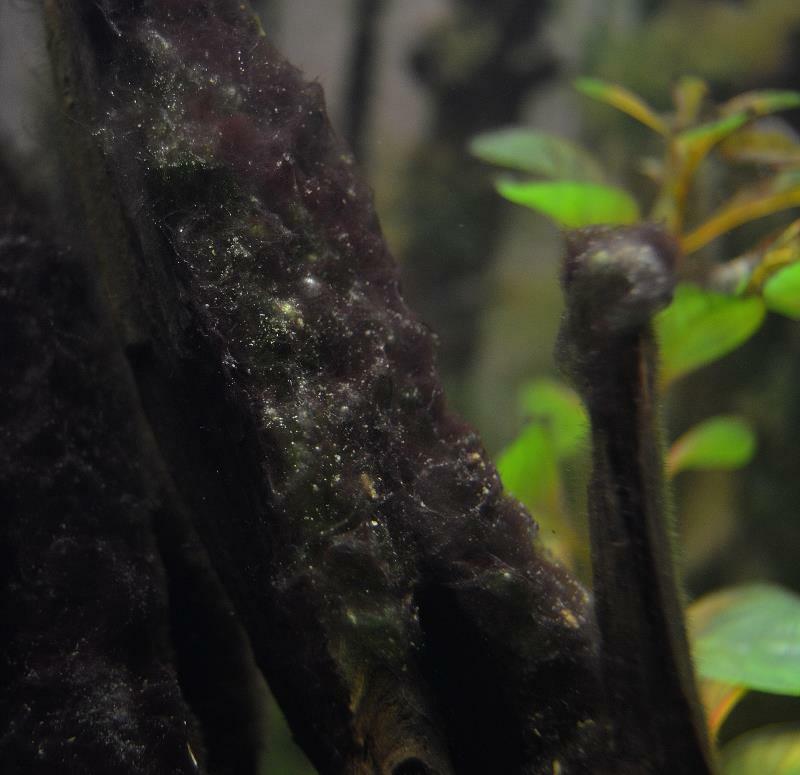 I've had dozens of different types of algae, maybe more than dozens, in my long fishkeeping adventure, and I feel I have barely scratched the surface on algae species I might someday see. 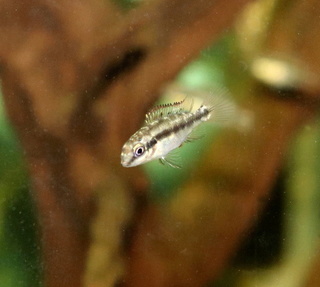 I found out that otos eat brown algae that you get when you start a tank but how can that happen in a 5 month old tank? My ammonia is 0, PH is stable at 7.8 ( I need to get new tester for nitrite and nitrate) but I do a min 25% WC every week while vacuuming half of my gravel, the nitrate cant be high. I also dont worry about left over food because I only feed a very small amount and there is very little that sometimes falls on the gravel but then my shrimp are right at it. Im still not sure what algae it is and I agree it looks like a mix of different kinds. The oto did eat it and started on the other side now. Any update on the algae? Has it improved? 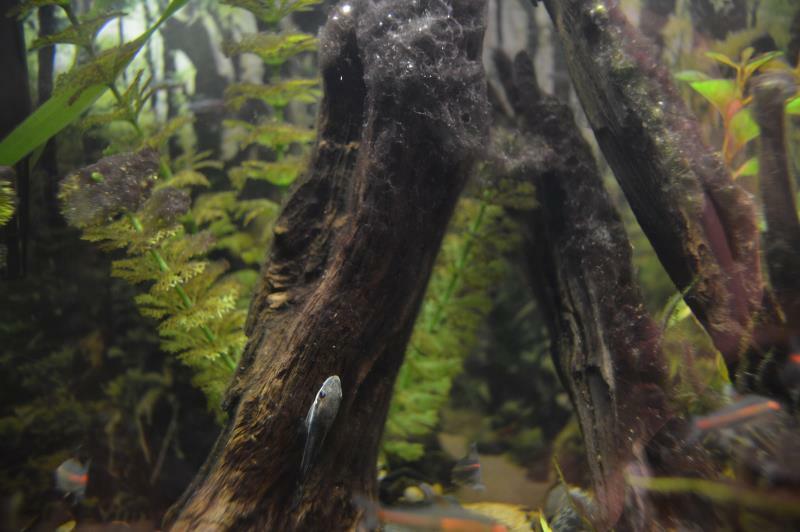 Well I think it has improved a little bit, on the driftwood the oto keeps its down to an acceptable limit but its still growing on the plants (plastic and live plants) and on the sand. I do have the feeling its not as fast growing as it was tho so i think the cut down on the hours with light on is making a difference. I read that it helps to add more live plants to limit the nutrition for the algae so I will finaly use my gift certificate for it and get some as soon as the busy days are slowing down a bit here.